Where are the Nurses? Patient takes his inquiry about lack of nurses in the hospital to Heloise. A former patient speaks up about the lack of nurses during his recent hospital stay. He expresses the thoughts of many. "There was a time when American medicine was the best in the world. But is it still? I have every reason to believe it's gone downhill." I was reading through my various nursing news feeds this morning and "Hints from Heloise" popped up. I wondered why Heloise was in a Nursing news feed so I clicked on the link. A man who was a recent patient was appalled by the lack of nurses. So he wrote the following letter to Heloise. "Dear Heloise: I was a patient in a hospital recently and was appalled by the lack of nurses on staff. My nurse greeted me and told me to call her on my cellphone if I needed anything, then gave me her number and left. What if I had fallen out of bed, couldn't get up and needed help or possibly had a stroke after surgery and couldn't talk? "Hospitals charge a hefty amount of money for patient care, but I don't think we're getting the care we need. It's not that nurses aren't trained properly, there just are far too many patients for the limited number of nurses available. "There was a time when American medicine was the best in the world. But is it still? I have every reason to believe it's gone downhill." Heloise did not post a response. As a nurse, how would you respond to this former patient? At least he gets the point that "there just are far too many patients for the limited number of nurses available." If we get enough responses, I'll send them to Heloise and tell her these represent the voices of nurses across the US. It might be helpful for all of you to post what state you are in so Heloise will see that we are a good representation of the best nurses in the USA. You could also post your years of experience and whatever else you want to post. Let's give Heloise and the public the hint that if you want to hear the voice of real nurses, ask the nurses at allnurses.com. As the Community Director, I'm here to help make your time here enjoyable. Please contact me if I can help you. I'd love to hear from you. In many places the patient ratios are dismal. Also, I believe that the computer and charting requirements are sucking time away from the patients. Every check off screen just becomes a task to fulfill and contributes the depersonalization that is becoming more common. Nurses end up on autopilot with so much mental energy being drawn away by a workplace made unnecessarily complicated. Of course, this is a reflection of the larger society that seems to have replaced common sense with protocols, computer generated alerts, etc. It's all well intentioned overkill generated by people who are not at the bedside. The growing need for nurses and others to micromanage complicated systems away from the bedside draws money and time away from the patients. I love that the patient identified the critical need - more nurses (or any trained personnel) at the bedside. There's no separate billing category for nursing service. Acetaminophen - $5 on the bill. Itemized billing for doctors, procedures - all on the bill. We just come with the room. The patient is right. They aren't enough of us at the bedside. Before I start hearing the nonsense of a nursing shortage, I'll shut it down. There isn't a true nursing shortage. There is just a shortage of nurses willing to be at the bedside. The reluctance is for good reason. It's physically and emotionally draining in ways those who aren't nurses can't understand. EVERYTHING is on your shoulders. A physician makes a mistake and orders the wrong thing - you better catch it. The pharmacy sends you the wrong dose - you better catch it. The demands are impossible and then you add the large number of patients we are responsible for.. It's simply not safe. Then add the fact that we are exhausted. We work "12" hour shifts, which often become 13-14 easily. We are picking up extra shifts to help cover the gaps as well. So that means your nurse, who is responsible for every single aspect of your care, may not have had more than 4-5 hours of sleep in the last 4-5 days. Then lets discuss the abuse we receive from patients and their families. I have been hit, kicked, screamed at, and sexually harassed. I understand patients are hurt, sick, and are at their worst - but that doesn't mean I deserve to be treated like trash. Rarely does an employer support you pressing charges. Don't forget the charting.. We spend HOURS of our shift clicking and typing. With everything we are expected to accomplish each shift it's amazing we have anyone working at the bedside. "I have every reason to believe it's gone downhill." As supporting evidence: The nurse "gave me her number and left." I'd like to approach this from the other side - unrealistic patient expectations. Staffing is an issue, but there's absolutely nothing to use in his statement. He's demonizing a way to get in touch with the nurse? How often was he checked on? Was it a ratio issue or was any time alone an issue? Side rails? Bed alarms? Cardiac monitors? He could've been near the nurses station with passing eyes on his every five minutes. We simply don't know and to say otherwise is speculation. Blanket critical statements like American healthcare has gone downhill represent the worst kind of uninformed opinion stated as fact. I realize this comes across pretty strong and I'd love a chance to talk with him to get more detail. As it stands, this complaint comes across more like the guy I had that got mad at me because he got a normal spoon and not a soup spoon for his soup. Think about it: let's say that an average bedside nurse costs a hospital $500 for a 12 hr shift. That might include wages, insurance, FICA, training etc. If she has 5 patients on a med/surg unit, that's $100 per patient, per day. That's a sliver of the daily cost of hospitalization for a vital part of patient care. Sounds completely staged, to me ...not inaccurate, but not quite “real” either. ocean.baby has 25 years experience. 'You' will shut down the nonsense of a nursing shortage? There may not be a nursing shortage where you live and work, but I can tell you that it is alive and well in many areas of the United States. In Wyoming there is a severe nursing shortage. It is not that nurses don't want to work at the bedside, it is that there are not enough nurses. 20 years ago in the town of 60,000 where I live - the second largest town in the state, there were few places to work other than the one hospital, one mental health facility, public health, a few doctor's offices, and two nursing homes. There are now 3 nursing homes, 4 hospitals with specialty departments that require nurses - those specialty depts were not available 20 years ago, multiple surgical centers, an oncology center, a much larger mental health facility, several assisted living facilities, community health programs, several home health businesses, an enlarged public health system, IV infusion centers, and the list goes on. The population and number of nurses has not increased with the demand. The nearest town of any size is 45 miles away and has a whopping population of 6500. Several towns with a population of 10,000 are 120 miles away. All of those communities have their own nursing issues. It is difficult to find enough qualified instructors that want to teach due to the terrible pay that they receive. Then there is the 8 students per faculty ratio in the clinic setting. If we had more instructors we could offer more clinicals and put out more nurses, but as I already said, it is difficult to find enough qualified instructors. This patient is right on the mark about too many patients for one nurse, or should I say too many high acuity patients for one nurse. It is not 20 years ago where people came to the hospital for a few days for testing, or to stay in a safe place because their husband abused them, etc. Many of the travel nurses that come to our local hospital are appalled at the high acuity of patients that are cared for on the medical floor. They report that at other hospitals where they have worked those patients would be in ICU or a stepdown unit. But we can't have that, because we don't have enough nurses to work ICU to admit more patients to that unit. So before 'you' shut down any nonsense about the nursing shortage you need to realize that you are not knowledgeable about 'all' areas of the U.S. For many rural areas across the nation it is a real struggle to have enough physicians and nurses to give adequate patient care. I don't know if this is a real patient or not, but I do know that the scenario is of course correct! And while I applaud the continued effort of nurse's to attempt to effect change we all know that this needs to come for CEO/admin. In most areas of the country (except Wyoming I guess!) it is a matter of bedside nurse shortage, and until/unless changed by admin these issues will remain. I concur with another poster that brought up the time away from the patient devoted to mindlessly clicking off items on a computer. Computers will make your charting go faster they said. It's way more efficient than paper charting they said. Sure, maybe at first it was, until they started adding and adding more things that needed to be charted on! No joke, I must spend at least 2-3 hours of my shift at a minimum just charting. It embarrasses me to be seen as that nurse that just sits at the computer charting all day instead of being the nurse that helps the residents and assists the CNA's when they are busy. Heck, even the CNA's are getting an ever increasing charting load. It's way, way to much busy paperwork now. I look at it this way. There are 60 minutes in an hour. Let's say on a perfect day you are assigned 5 patients, so you get an average of 12 minutes for each patient per hour. Fully 1/2 of that time is documenting, or at the PYXIS, or answering the phone, or gathering supplies. So now you have 6 minutes face to face time, per hour with your patient. Now if anything takes longer (say extended report, stat labs that must be addressed, IV to replace, missing meds) you lose that time. Sorry room 92, I just spent your 6 minutes trying to find your TV show, no time to find colder ice for you. Yes, room 31, I understand you take your metformin precisely with your first bite, but I am waiting for it to arrive (after 3 attempts at 2 PYXIS machines, 2 phone calls and a fax to Pharmacy). Oh, and room 18 wants 6 chairs for visitors. That is definitely going to take your 6 minutes for this hour and next. But of course I have the time. Oh that large crash? And people running down the hall? My phone that never stops ringing? I will look into those things once your 6 minutes is done. You just call if you need anything! I completely agree with your assessment of a nursing shortage in many parts of the country. But we need to ask the question: Why? You alluded some reasons, such as the paltry pay for nursing instructors. 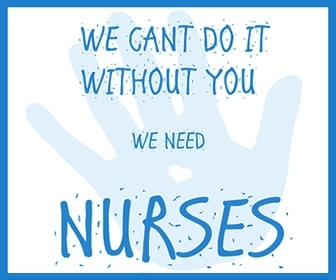 And the poster you quoted, touched on some of the reasons why there are fewer nurses at the bedside. So, you are both right. However, the underlying problem still needs to be addressed, and we all know what that is; staffing and working conditions. Until those two items are addressed by healthcare facilities, the problems will continue. Unfortunately, I see no widespread willingness among healthcare facilities to tackle the real issues.